This is our non-members shop. If you are a member, go to the members shop and save 20% on every item. Just click on an item to stick it in your shopping basket - as you add items you will have the choice to continue shopping or go to the checkout. All prices include postage. 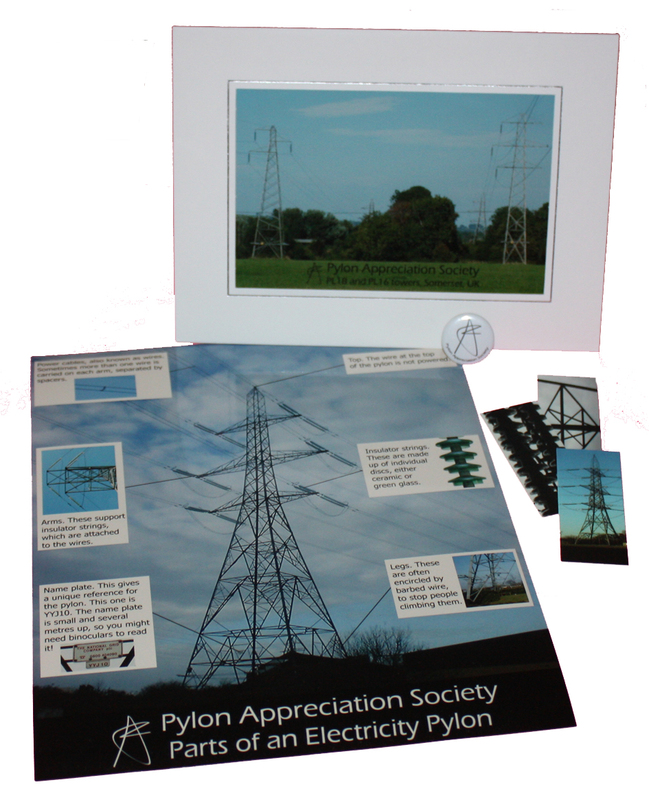 Become a member of the Pylon Appreciation Society and receive the pack shown (A4 "parts of a pylon" print, A5 photo card, badge and minicards) as well as a login to the Members section where you can download the guide to UK pylons, go on the messageboard, get 20% off in our shop, and much more! As a gift, please use the button below and complete the recipient's details. We need the recipient's name, and if you want it posted directly to them then we will need their address as well, else it will be sent to you. If buying for a child, please put their age directly after their name. Ten collectable minicards which each feature either a tower or a closeup. Will you give them to your friends or collect the set? 25 different images available. 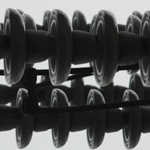 (Each set will contain 10 different images, but there may be some duplicates between multiple sets.) Each card measures 7 x 2.8cm. Two fridge magnets made from minicards. One will have a tower on it, and one will feature a closeup. The magnets can be bent slightly if your fridge is curved - or stick them in other places like a radiator! Note: they are finished in matt laminate, so a small splash can be wiped off but don't let water soak in. Clean them with a dry cloth. There are 25 images to collect in total. 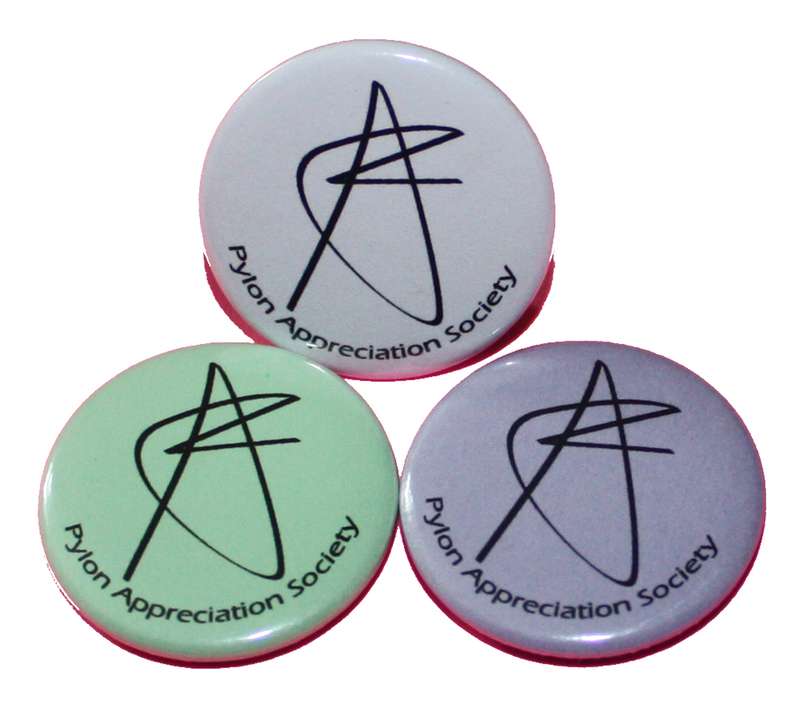 A replacement Pylon Appreciation Society badge. They come in white, pastel blue and pastel green - if you order more than one we will send a selection of colours. Only available to members - sorry! 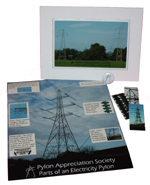 Prints from Flash Bristow's exhibition of pylon images. You can view all the photos in the exhibition pages. Are there any items you'd like to see which aren't on offer? Just email pylons@gorge.org and let us know!